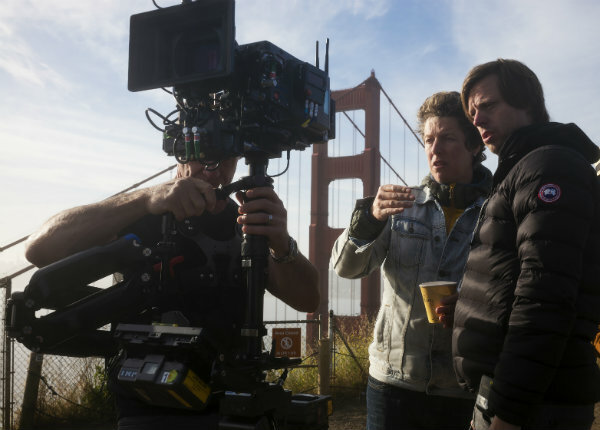 Director Felix van Groeningen Makes English-Language Feature Debut With "Beautiful Boy"
Director Felix van Groeningen had a significant career decision to make when mulling over what might be his first English-language film. However, the choice became clear when he read two memoirs offering different perspectives on the same story. “The two points of view really drew me in--the perspectives of a father and his son inspired me,” he explained. Those memoirs--one from journalist David Sheff, the other from his son, Nic Sheff--yielded Beautiful Boy (Amazon Studios). The film is a deeply moving portrait of a family’s love and commitment to each other in the face of their son’s drug addiction and his attempts at recovery. Steve Carell portrays David Sheff while Timothee Chalamet plays Nic. As Nic repeatedly relapses, the Sheffs are faced with the reality of how lives can be destroyed by addiction--with tough love the only antidote. Van Groeningen and Luke Davies penned an adapted screenplay for the story which is harrowing, heart-breaking and anger-invoking while at the same time marked by joy, hope and love. Beautiful Boy and its performances now find themselves in the Oscar conversation, which is a welcomed deja vu for Flemish filmmaker van Groeningen whose The Broken Circle Breakdown earned a 2014 Academy Award nomination for Best Foreign Language Film (Belgium’s entry) and a Cesar for Best Foreign Film. Two years later his feature Belgica premiered at the Sundance Film Festival where he won the Directing Award (Dramatic World Cinema). Also among his other credits is The Misfortunates which debuted in the Directors’ Fortnight at Cannes. Also helping the director tackle and ultimately do justice to the story was his decision to tap into a pair of his long-time collaborators--cinematographer Ruben Impens and editor Nico Leunen. Impens lensed five previous films for van Groeningen, including The Broken Circle Breakdown, The Misfortunates and Belgica. And Beautiful Boy was the fifth film that Leunen had worked on with van Groeningen, the others also including The Broken Circle Breakdown, The Misfortunates and Belgica. At the same time, van Groeningen was open, happily, to new collaborators such as production designer Ethan Tobman whose contributions to Beautiful Boy included the construction of integral large sets, most notably the Sheffs’ home where the story of Nic’s addiction begins. It’s a dream place, situated in rustic nature with an artistic vibe--a place so inviting and feeling so safe, you’d hardly think of it as where a monstrous addiction took hold. This is the fifth of a multi-part series with future installments of The Road To Oscar slated to run in the weekly SHOOT>e.dition, The SHOOT Dailies and on SHOOTonline.com, with select installments also in print issues. The series will appear weekly through the Academy Awards gala ceremony. Nominations for the 91st Academy Awards will be announced on Tuesday, January 22, 2019. The 91st Oscars will be held on Sunday, February 24, 2019, at the Dolby Theatre at Hollywood & Highland Center in Hollywood, and will be televised live on the ABC Television Network. The Oscars also will be televised live in more than 225 countries and territories worldwide.